National Pharmaceutical Company of Zimbabwe (NatPharm)’s human resources manager Walter Nhau yesterday testified in the ongoing trial of former Health and Child Care minister David Parirenyatwa that the ex-minister was justified to remove Flora Nancy Sifeku as managing director because she had developed a propensity to harass employees. Parirenyatwa is facing charges of acting contrary to his duties as a public officer by directing NatPharm board chairperson George Washaya to end Sifeku’s contract with the organisation as managing director. 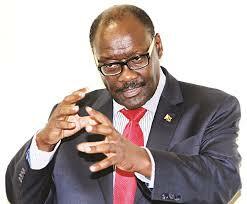 Parirenyatwa then effected the transfer of Newman Madzikwa from his ministry to Natpharm to replace Sifeku. The State is alleging that by that action, which also saw Sifeku being moved to the ministry of Health and Child Care, Parirenyatwa showed disfavour to her. In his opening statement to the court, Parirenyatwa’ defence team of Makiya and Partners justified the letter he wrote to appoint Madzikwa as the NatPharm managing director saying it was in line with the ministry’s action plan and was approved by Cabinet. During trial yesterday, State witness Nhau confirmed that in April last year, two months before her redeployment, Sikefu allegedly harassed two NatPharm employees. “Yes, it’s true that Sifeku allegedly abused two NatPharm members and a report was issued to that effect, but those were just allegations. I wasn’t involved in any investigation as the matter was investigated by the board, so I’m not sure what was concluded,” Nhau told Harare magistrate Elijah Makomo.